Installation of Cultured Stone Barrie area has been a main region for cultured stone installation and service by our company since 2001. 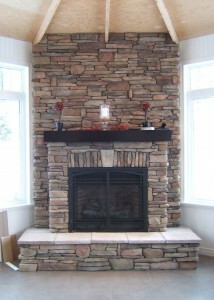 We also offer cultured stone installation and service in Orillia, Muskoka, Parry Sound, Collingwood and even Haliburton. Cultured Stone installation in Barrie is a focus area for us, because we are based out of Moonstone, Ontario. 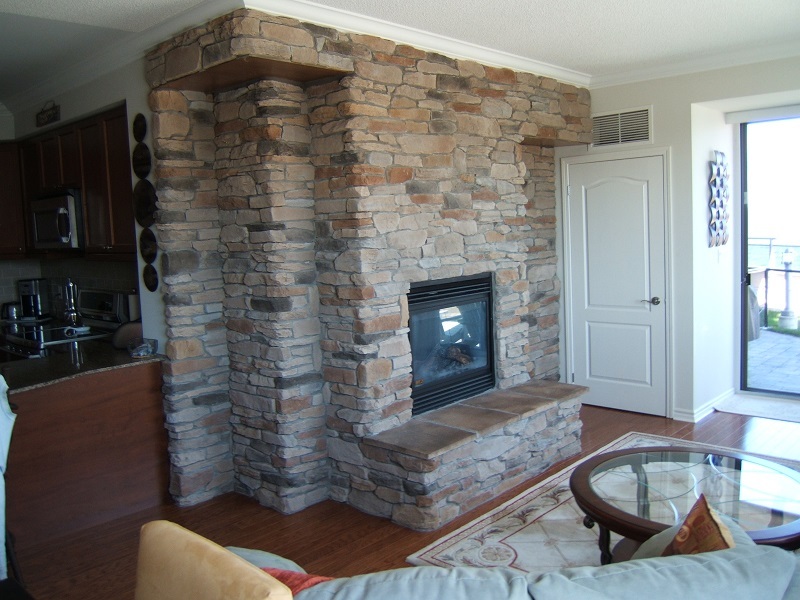 Cultured Stone is an excellent product that has been on the market for many years. Cultured stone, or more commonly referred to as faux stone, is actually a cast or manufactured stone and is very versatile as it can be used for multiple purposes. Cultured Stone Barrie makes a wonderful back splash for your kitchen, can accent an interior wall, used as exterior siding for your house or on a fireplace. Cultured stone looks and feels like real stone at half of the cost. An additional benefit to cultured stone is you do not need a stone ledge. Cultured stone carries on the wall and weights less than 12 lbs per square foot. Imagine how you could transform the look of your house with a stone accent. 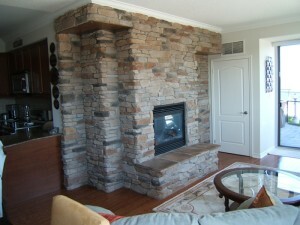 We have a variety of photos of our Cultured Stone installs which we would be delighted to show you. Cultured or manufactured stone comes in a wide variety of styles and colors and is manufactured by many different companies. They are all similar but each have their subtle differences. One of the best know cast stone companies is Boral Cultured Stone who have successfully produced a proven product for 50 years. Coronado Stone have excellent colour choices and also come in a variety of styles. Dutch Quality Stone include a wide variety of accessory items such as quoins, utility accents, mantles and brackets.etc, all of which are cast products. Other popular brands of manufactured stone include Eldorado Stone, StoneRox and Stone Selex just to name a few. 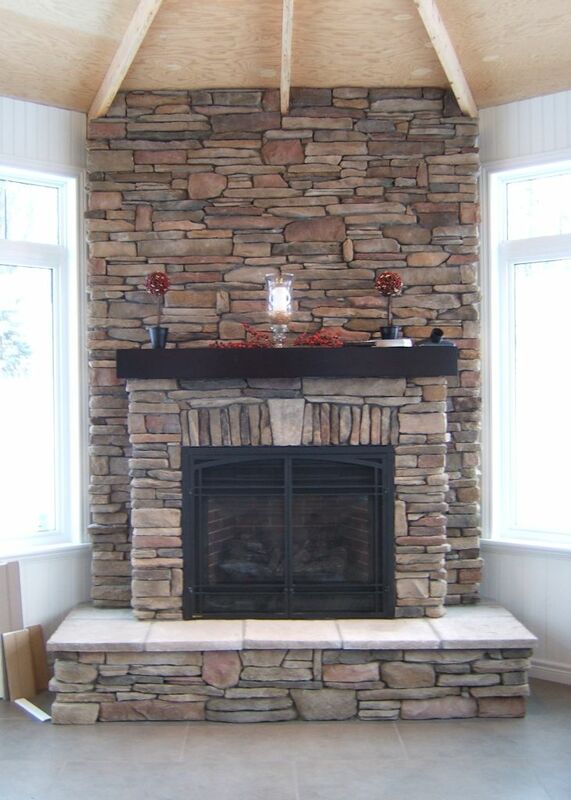 Cultured stone can be found at the many stone yards that service the Barrie area. All come with warranties and guarantees that are limited to the installation process. In other words you need to install it according to the manufacturers recommendations. Depending on the application you can make cultured stone look old and rustic or it can also take on a modern edge. Cultured stone can be laid tight fitted or dry stacked for the modern look or with space in between the stones which can be filled with grout. For those whose house has a brick exterior, consider adding cultured stone to give it an updated look. 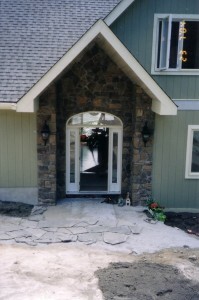 Imagine the huge curb appeal that you can add to your home with cultured stone. Manufactured stone is a very cost effective way to add real value to your house.Perhaps the biggest benefit of cultured stone is that you do not have any structural worries. There is no extra cost or need to tear down your old brick because in most instances, cultured stone is applied directly to the face of the brick. You may wish to add some detail to the front of your home to give it a bit of an accent as was the case with this application to the front entrance to this house. Field stone to accent a front entrance. 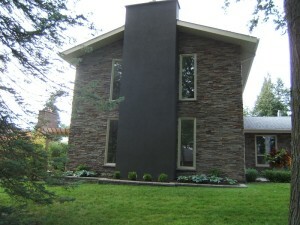 If you have siding on your home it is easy to install cultured stone. 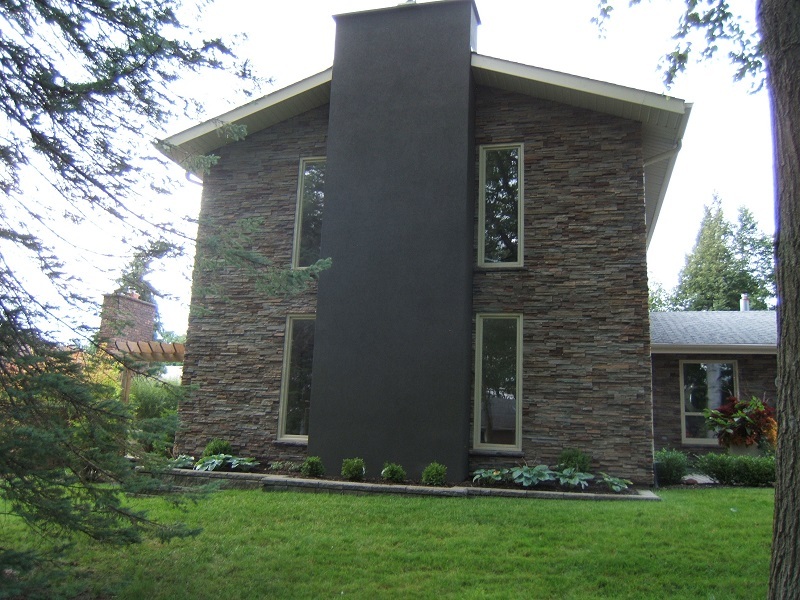 The old siding can be easily removed and with minimal prep cultured stone can be added to give your house a modern update which will last maintenance free for years to come.